At Code Breakers, black and brown high school girls learn software engineering. When Benita (Parquet) is promoted to CEO, she enlists the help of a journalist friend (Tanenbaum) to confront a controversy over rejecting a white student. Then Bel (McGuire), a new Code Breakers employee, accuses the outgoing CEO (Lenartz) of sexual misconduct. The fallout threatens the most vulnerable in their community, including Dani (Cihi), a trans employee and former student. Operating Systems wrestles with how internalized oppression often makes us reinforce oppressive systems even as we work toward justice. In a tokenizing system that often positions oppressed peoples against each other, can the relationships at the heart of the play survive? Is it better to leverage the resources of these systems in service of justice, or to burn the whole thing down? 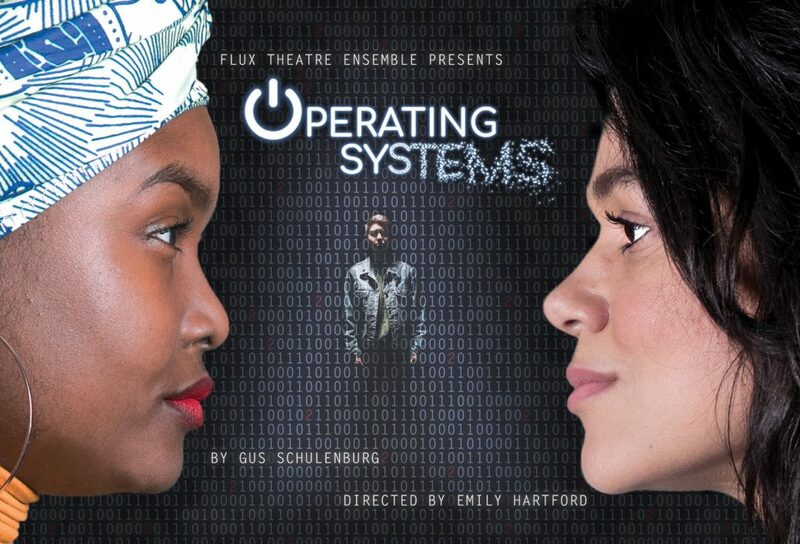 TICKETS FOR OPERATING SYSTEMS ARE AVAILABLE HERE. The Cast will feature Neo Cihi (Mr. Transman), John Lenartz (Inherit the Wind on Broadway), Morgan McGuire (The Sea Concerto), Lori Elizabeth Parquet (The Providence of Neighboring Bodies), and Isaiah Tanenbaum (AM I DEAD?). The Creative Team includes: Scenic Design by Lauren Girouard, Lighting Design by Kia Rogers, Costume Design by Jason Tseng, Sound Design by Renée Yeong, Props Design by Alisha Spielmann. The Production Stage Manager is Jodi M. Witherell, the Production Manager is Jaclyn Biskup, the Associate Director is Dominique Rider, the Dramaturg is Salma Zohdi, the Production Consultant is Will Lowry, and the Assistant Lighting Designer is Sienna Gonzalez. Operating Systems is also a recipient of the NYSCA-A.R.T./New York Creative Opportunity Fund (A Statewide Theatre Regrant Program), and subsidized studio space provided by the A.R.T./New York Creative Space Grant, supported by the Andrew W. Mellon Foundation.